“Jewelry is a girl’s best friend” as they say … indeed it is , I think its a girl’s Must-have accessory,to compliment her outfit. Guess what then ? 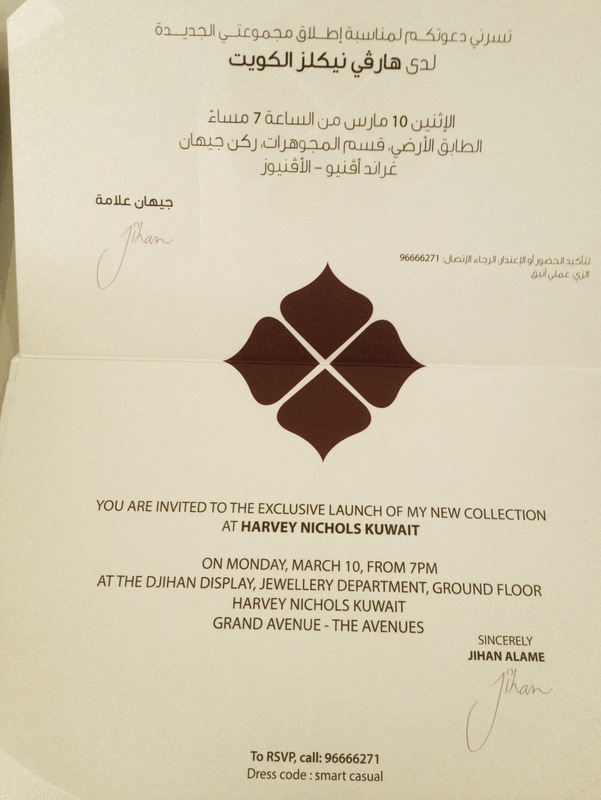 Today , I’m attending the exclusive launch of Jihan Alame new jewelery collection at Harvey Nicholas Kuwait , am so excited to check out her new jewels it suits me so well .